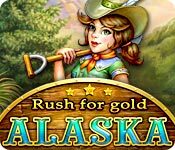 Rush for Gold: Alaska is rated 3.9 out of 5 by 45. Rated 5 out of 5 by Bumbles2 from What an awesome game !!! This game is about a girl that left home for Alaska to try and make some money to clear up her family's debt...not going to say noooo more !!! This is a fun-fun game ... I absolutely loved it. It's definitely one I'll be telling my friends about. The graphics are stunning and the music was a pleasure to listen to. I sure hope they (Big Fish) bring more on-board like this... I thoroughly enjoyed it !!! Rated 5 out of 5 by jjwebb from Could not stop playing I loved this game! 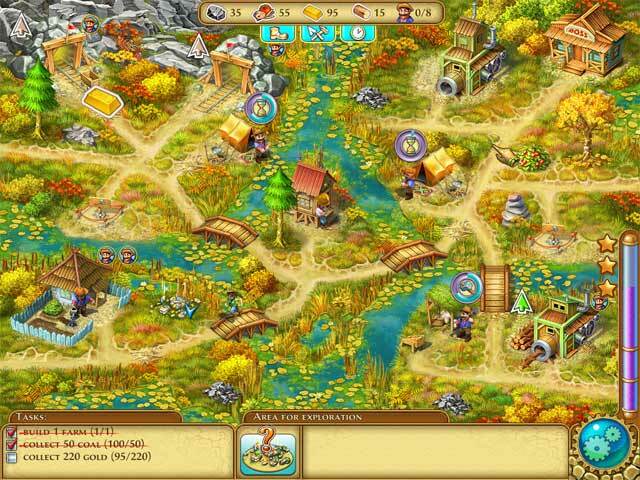 Awesome time management game, each level just a little more challenging then the last. It was hard to stop playing, and now I've found it hard to find a game that I enjoy just as much. 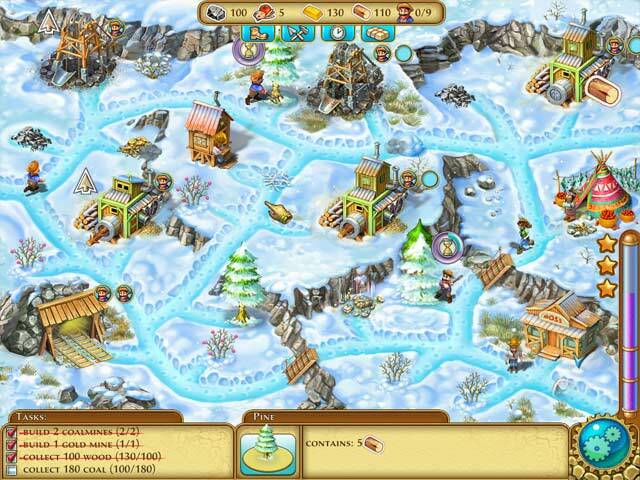 Rated 5 out of 5 by PhoenixRising702 from GREAT GAME! Love the fact that there is a relaxed mode....just so you can relaaaaaaaxxxx!!! lol But if you feel like a challenge you can go to timed mode! Love the fact that you can buy upgrades. It's a little different from other TM games, so that made it interesting. I absolutely LOVE TM games ...sooooooo yyyyeeaaah! lol Enjoy your play time!!!! Rated 5 out of 5 by rondo1492 from A game you will play and play over an over again, hard to get tired of playing it. The action is non-stop, never the same o same o. Different each step of the game. It is just plain great. Rated 5 out of 5 by grumpybear2252 from Loved this game. I loved how cute the little workers were and loved the storyline. I wish it had been longer but that's only because I didn't want to stop playing. It has a ton of levels. 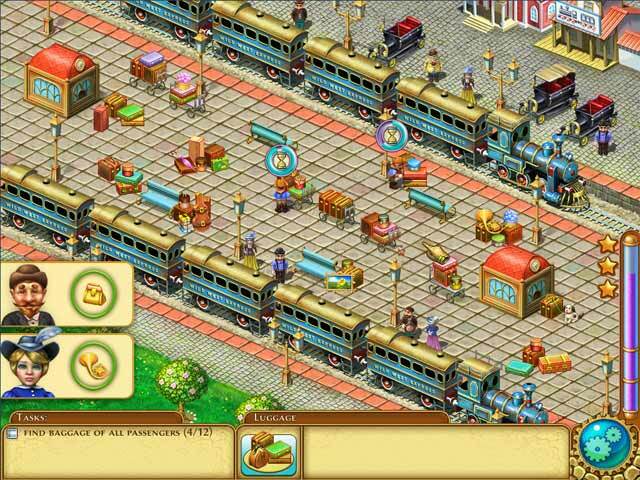 Rated 5 out of 5 by Sherry__Rose from What a fun, hilarious game! When I learned that this game was from one of my favorite developers, Rainbow Games, I just had to try it. And I'm sure glad I did! It's visually beautiful, hilarious, and versatile. One can play it either timed or relaxed. It's also highly replayable, making it of even more value for the money. I played through it in "relaxed" mode, and I made up challenges for myself, seeing how I can catch the fewest fish, cut down the fewest trees (they grow back! ), etc. I definitely recommend this game to anyone who would like a fun, relaxing, and enjoyable time. Rated 5 out of 5 by noel135 from I had the best time with this game ! This was my first time management game and I thoroughly enjoyed it. It was cheery and challenging. I played on the relaxed level. You are doing multiple things at once so it takes some coordination and attention to detail. The music was bright as were the graphics. I found that I kept going back to play more and more levels rather than the serious grim other game I have recently purchased. Its different and fun ! Rated 5 out of 5 by suedeclerck from Loved this one I haven't liked a game this much in quite a while. As we all know the TM games are far and few between. And recently haven't been that great. But this on was very good. Rated 5 out of 5 by virgo091159 from Rush for Gold Alaska Really good game I really like this game it is fun and very good story line. Just wish I had the money to buy it. Because if I did I would play it over and over again.